Here's a sampling of promising exhibitions around the country this spring. BOSTON "Arlene Shechet: All at Once." The first museum survey of art by this sculptor, who specializes in using clay, includes more than 150 of her often colorful, glazed, polymorphic works. June 10 through Sept. 7. Institute of Contemporary Art, 100 Northern Avenue; 617-478-3100, icaboston.org. BOSTON "Leonardo da Vinci and the Idea of Beauty." About 30 drawings, mostly on loan from Italy, reveal Leonardo's concept of the ideal Renaissance face. April 15 through June 14. Museum of Fine Arts, 465 Huntington Avenue; 617-267-9300, mfa.org. BRUNSWICK, ME. "Night Vision: Nocturnes in American Art, 1860-1960." This major survey of night scenes includes about 90 paintings, prints, drawings and photographs by Homer, Hopper, O'Keeffe and many others who depicted fireworks, electrified urban streets and moonlight on the ocean. June 27 through Oct. 18. Bowdoin College Museum of Art, 9400 College Station; 207-725-3275, bowdoin.edu/art-museum. PORTLAND, ME. "Rose Marasco: Index." Featuring a range of subjects, from domestic objects to cityscapes, this exhibition documents the four-decade career of this Maine-based photographer. April 24 through Dec. 6. Portland Museum of Art, 7 Congress Square; 207-775-6148,portlandmuseum.org. SALEM, MASS. "American Epics: Thomas Hart Benton and Hollywood." A new look at the way Benton's work in silent films influenced his narrative art, whose style blended European art traditions and movie production techniques. June 6 through Sept. 7. Peabody Essex Museum, 161 Essex Street; 978-745-9500, pem.org. WILLIAMSTOWN, MASS. "Van Gogh and Nature." Some 50 works survey how van Gogh portrayed many aspects of the natural world over the course of his life. June 14 through Sept. 13. Clark Art Institute, 225 South Street; 413-458-2303, clarkart.edu. BROOKLYN "Diverse Works: Director's Choice 1997-2015." In honor of the Brooklyn Museum's departing director, Arnold L. Lehman, more than 125 "exceptional works of art" collected during his 18-year tenure and drawn from a huge array of eras and civilizations will be on view. April 15 through Aug. 2. 200 Eastern Parkway; 718-638-5000,brooklynmuseum.org. MANHATTAN "China Through the Looking Glass." Couture and ready-to-wear clothing are juxtaposed with Chinese costumes, paintings, porcelains and film to illustrate the ways China has fueled fashion designers' imaginations for centuries. May 7 through Aug. 16. Metropolitan Museum of Art; 212-535-7710, metmuseum.org. MANHATTAN "Alice: 150 Years of Wonderland." The original manuscript of Lewis Carroll's "Alice's Adventures in Wonderland," borrowed from the British Library, anchors a display of drawings, letters, rare editions and vintage photographs that showcase the genesis, publishing history and enduring appeal of this classic tale. June 26 through Oct. 11. Morgan Library & Museum, 225 Madison Avenue, at 36th Street; 212-685-0008, themorgan.org. MANHATTAN "America Is Hard to See." The Whitney Museum of American Art's new downtown building will be filled with some 650 works by about 400 artists — including favorites like Hopper and Johns — in the most comprehensive showing ever of the museum's permanent collection. Opens May 1; closing in stages through the fall. 99 Gansevoort Street, between Washington Street and 10th Avenue; 212-570-3600, whitney.org. NEWARK "Royals and Regalia: Inside the Palaces of Nigeria's Monarchs." Near life-size color photographs by the Nigerian photographer George Osodi depict regional rulers of modern-day monarchies throughout the country, along with their palaces and throne rooms. Through Aug. 9. Newark Museum, 49 Washington Street; 973-596-6550,newarkmuseum.org. PHILADELPHIA "Discovering the Impressionists: Paul Durand-Ruel and the New Painting." More than 80 paintings document the early struggles and ultimate success of Monet, Renoir and other artists who, championed by this Parisian dealer, created Impressionism. June 24 through Sept. 13. Philadelphia Museum of Art, 2600 Benjamin Franklin Parkway; 215-763-8100, philamuseum.org. WASHINGTON "Gustave Caillebotte: The Painter's Eye." Some 45 paintings made between 1875 and 1882 illuminate Caillebotte's bold, innovative approaches to depicting Paris and Parisians. June 28 through Oct. 4. National Gallery of Art, National Mall between Third and Seventh Streets, at Constitution Avenue NW; 202-737-4215, nga.gov. WASHINGTON "Jacob Lawrence's 'Struggle ... From the History of the American People.' " A display of 12 panels produced in the mid-1950s to illustrate scenes from American history, from the Revolutionary War through the westward expansion of 1817, shows the artist's inventive narrative style. Through Aug. 9. Phillips Collection, 1600 21st Street NW; 202-387-2151, phillipscollection.org. COLUMBUS, OHIO "Fiber: Sculpture 1960-Present." This broad survey of the development and diversity of fiber-based work in contemporary art includes pieces by 33 artists, including Ernesto Neto and Rosemarie Trockel. Through April 12. Wexner Center for the Arts; 1871 North High Street; 614-292-3535, wexarts.org. CHICAGO "Charles Ray: Sculpture, 1997-2014." With about 20 works, this survey of this Los Angeles-based artist's output from the last two decades stresses his figurative works. May 15 through Oct. 4. Art Institute of Chicago, 111 South Michigan Avenue; 312-443-3600, artic.edu/aic. CLEVELAND "Senufo: Art and Identity in West Africa." Featuring nearly 160 loans from museums and private collections, this exhibition delves into the diverse culture that inspired Picasso, Léger and other avant-gardists in the early 20th century. Through May 31. Cleveland Museum of Art, 11150 East Boulevard; 216-421-7350, clevelandart.org. 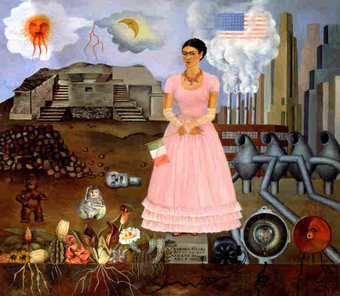 DETROIT "Diego Rivera and Frida Kahlo in Detroit." The 11 months from April 1932 to March 1933, while Rivera worked on his landmark "Detroit Industry" mural, proved crucial to the evolving careers of both artists, as shown in this display of their works created before, during and after their time in Detroit. Through July 12. Detroit Institute of Arts, 5200 Woodward Avenue; 313-833-7900, dia.org. KANSAS CITY, MO. "World War I and the Rise of Modernism." About 60 works by Kandinsky, Schiele, Braque and others illustrate the impact of the Great War on artists and their art. Through July 19. Nelson-Atkins Museum of Art, 4525 Oak Street; 816-751-1278, nelson-atkins.org. MINNEAPOLIS "The Habsburgs: Rarely Seen Masterpieces From Europe's Greatest Dynasty." Arms and armor, Greek and Roman antiquities, court costumes, old master paintings and much more will be on view, all drawn from the palaces of the Habsburg dynasty. Through May 10. Minneapolis Institute of Arts, 2400 Third Avenue South; 888-642-2787, artsmia.org. MINNEAPOLIS "International Pop." With some 140 works from 14 countries, this exhibition follows the trajectories of Pop Art beyond its New York and London epicenters, following artists who exuberantly embraced figuration, media and mechanical processes. April 11 through Aug. 29. Walker Art Center, 1750 Hennepin Avenue, 612-375-7600, walkerart.org. ST. LOUIS "Navigating the West: George Caleb Bingham and the River." Capturing everyday life along the inland waterways, the 22 paintings on view, with many drawings, portray 19th-century frontier life and the centrality of rivers to a growing United States. Through May 17. Saint Louis Art Museum, 1 Fine Arts Drive, Forest Park; 314-721-0072, slam.org. TOLEDO, OHIO "Drawn, Cut & Layered: The Art of Werner Pfeiffer." Testing the boundaries of paper, Mr. Pfeiffer makes drawings, dimensional prints, 3-D collages and sculptural and experimental books; about 200 are on view here. In a related exhibition, he selected about 100 works on paper from the museum. Through May 3. Toledo Museum of Art, 2445 Monroe Street; 419-255-8000, toledomuseum.org. ATLANTA "Wifredo Lam: Imagining New Worlds." This major retrospective of work by one of Latin America's best-known Surrealists presents more than 40 of his paintings, drawings, prints and ephemera in a comprehensive look at his career. Through May 24. High Museum of Art, 1280 Peachtree Street NE; 404-733-4444, high.org. DALLAS "Michaël Borremans: As Sweet as It Gets." The first major United States showing of this contemporary Belgian painter, known for his complex, theatrical but often figurative works, includes 50 paintings, 40 drawings and five films. Through July 5. Dallas Museum of Art, 1717 North Harwood Street; 214-922-1200, dma.org. HOUSTON "For a New World to Come: Experiments in Japanese Art and Photography, 1968-1979." Some 250 photographs, photo books, paintings, sculpture and film-based installations reveal how contemporary art changed during a time of radical societal transformation. Through July 12. Museum of Fine Arts, 1001 Bissonnet; 713-639-7300, mfah.org. 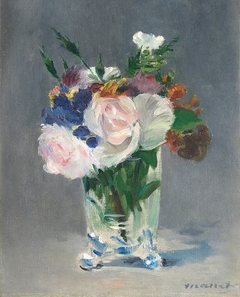 RICHMOND, VA. "Van Gogh, Manet and Matisse: The Art of the Flower." On the cusp of modernity, many 19th-century painters refreshed the tradition of floral still life, shown here in more than 60 paintings by more than 30 artists, and transformed the genre into a reflection on artistic representation. Saturday through June 21. Virginia Museum of Fine Arts, 200 North Boulevard; 804-340-1400, vmfa.museum. WEST PALM BEACH, FLA. "Imaging Eden: Photographers Discover the Everglades." A mix of historical and newly commissioned photographs captures the myth and the reality of Florida's vast tropical wetlands. Thursday through July 12. Norton Museum of Art, 1451 South Olive Avenue; 561-832-5196, norton.org. DENVER "Joan Miró: Instinct & Imagination." 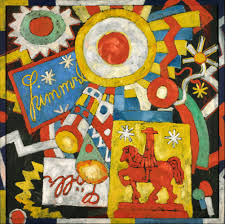 Late in his life, this Barcelona-born artist began exploring new materials and inventing new forms, creating a dialogue between his paintings and sculptures. The 50 or so works on view include bronze sculptures that have rarely been seen outside Europe. Sunday through June 28. Denver Art Museum, 100 West 14th Avenue Parkway; 720-865-5000, denverartmuseum.org. LOS ANGELES "Andrea del Sarto: The Renaissance Workshop in Action." The first major exhibition in the United States for this great Florentine artist reveals the crystalline beauty and immediacy of his drawings and panel paintings, borrowed from international collections. June 23 through Sept. 13. Getty Museum, 1200 Getty Center Drive; 310-440-7300, getty.edu. SAN FRANCISCO "J. M. W. Turner: Painting Set Free." The first exhibition devoted to the work that Turner created between 1835 and his death in 1851 showcases his creativity in his late years, despite his failing health. June 20 through Sept. 20. de Young Fine Arts Museums of San Francisco, 50 Hagiwara Tea Garden Drive; 415-750-3600,deyoung.famsf.org. SAN JOSE, CALIF. "Postdate: Photography and Inherited History in India." Contemporary South Asian artists recast the subcontinent's past, making new images from historical photographs, archaeological surveys and film stills. Through Aug. 2. San Jose Museum of Art, 110 South Market Street; 408-271-6840, sjmusart.org. SANTA BARBARA, CALIF. "Botticelli, Titian and Beyond: Masterpieces of Italian Painting From Glasgow Museums." Works by many of Italy's most renowned artists show the thematic and stylistic evolution of Italian painting from the religious works of the 14th century and the Renaissance to the secular neo-classical and genre paintings of the 19th century. Through May 3. Santa Barbara Museum of Art, 1130 State Street; 805-963-4364, sbma.net. 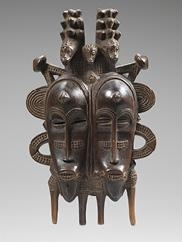 SEATTLE "Disguise: Masks and Global African Art." Tracing the evolution of masks and costumes in the 20th and 21st centuries, this exhibition brings together more than 150, including eight new commissions by the museum. June 18 through Sept. 7. Seattle Art Museum, 1300 First Avenue; 206-654-3100, seattleartmuseum.org.